I don’t know what your memories of school were like but I was bullied at school and as a consequence I have a low tolerance of bullying when I witness it – and intervening gets me into trouble sometimes. And having helped raise three lovely daughters, I have a low tolerance of discrimination against women as well. The Bible says we are created in the image and likeness of God. This means that it is sub-Christian to mistreat, abuse, or denigrate any person, irrespective of their race, colour, age, religion, or gender. When Christians are a minority, or society is volatile, there is great pressure on us to avoid offending other people. The temptation therefore is to soften or compromise the exclusive claims of the gospel. How can we avoid being offensive in witnessing for Jesus? How can we share our convictions with compassion? In our Gospel reading we observe Jesus doing so and showing us how. Last week, in Luke 4, we learnt about Jesus’ manifesto. Jesus message had three points based on the reading from Isaiah 61: He claimed to be the Messiah, the Jubilee had arrived, and he had come to liberate them. Jesus had not come to usher in a year of Jubilee. Jesus was in fact the Jubilee personified! And the Messiah promised so long ago by Isaiah was sitting right in front of them. How do they respond? In different ways. As people reflected on the words of Jesus, different kinds of faith were exposed. Lets consider each and ask which best describes yours. They were amazed at his teaching. But they also knew him. They knew his family. He grew up among them. How could such a humble figure, the carpenter’s son, be the Messiah promised by Isaiah? Now, it is not wrong to have doubts or ask questions. From the moment we are born, we are all doubters. The first sound we make is a cry of terror. “What is this strange world I am entering?” we cry. “Will my needs be met? Why has my warm secure world changed? Who will care for me?” The baby wants proof now. Those secure arms, that gentle voice and eye contact provide assurance. Then and only then will a baby begin to trust and smile. Underneath everything we are, and everything do lies the need for trust. From friendships between small children to agreements between entire nations, we depend on trust. Counting on people is trust. Sharing your personal thoughts is a sign of trust. A cry for help is someone seeking trust, a hug, a kiss, shaking hands are signs of trust. Relationships depend on trust. There are no more important questions in life than, “Who can I trust?” And none more than the ultimate. The search for answers will lead a person in one of two directions. The facts will either drive you to a saving faith, or an unbelieving faith. For Jesus demands a response. Jesus calls us to repent, to trust and obey and follow him. Jesus calls for a whole change of lifestyle from what we want, to what he wants, and that isn’t popular. A Doubting Faith: The people are amazed by Jesus. What was the problem? Why were they unable to trust Him? Because like many today, they thought they knew who Jesus was, when in fact they didn’t know him at all. They asked the right questions but had already made up their minds. Their presuppositions rejected the facts. How does Jesus respond? He cites a proverb about a physician healing himself. He knows they expect the local boy to entertain them with some miracles as he had performed elsewhere. He reminds them that the Old Testament prophets were invariably not well received. Their message was often met with rejection. He illustrates this from the days of Elijah and Elisha, when, because God’s people did not listen, they only heal a few Gentiles. A Doubting Faith: The People are Amazed by Jesus. An Unbelieving Faith: The People are Rebuked by Jesus. A Destructive Faith: The People are Enraged at Jesus. How do we know this event took place? Because it as written down. By whom? The Gospel was written by Luke. 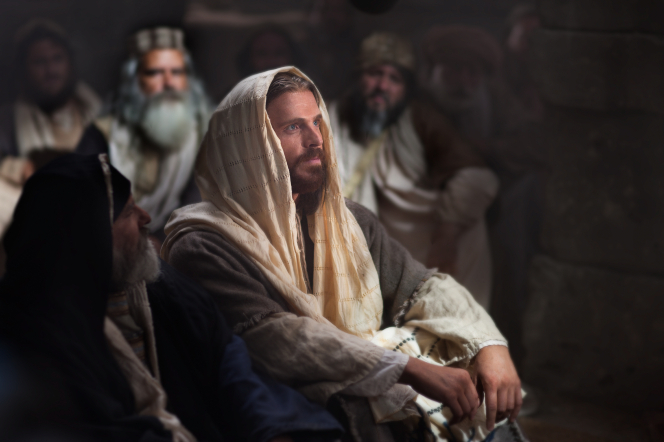 Luke had become a follower of Jesus and collected the sayings of Jesus. Faith is never static. It is either growing or shrinking depending on how close we stay to Jesus. The disciples followed Jesus and saw his wise teaching and compassionate miracles transform the lives of those who trusted in Him. Jesus challenged them to test his claims. Jesus began to train them, instruct them, trust them, delegate authority to them, and share his ministry with them. What did Jesus commission them to do? Demonstrate in word and deed that the Kingdom of God had arrived – preaching repentance, driving out demons and bringing healing and wholeness to the sick and disabled, the marginalized, the poorest and oppressed from sin, from sickness and from Satan. A foretaste of heaven. Does following Jesus ignite your desire to share your faith? Today we have considered different kinds of faith. Only one will do. A doubting faith is a good place to start but an unbelieving, hypocritical or fundamentalist faith will not do. Make sure yours is a saving faith, a deepening faith, an infectious faith. A faith that is placed firmly and securely in Jesus Christ, our Saviour and Lord. Let us pray. This entry was posted in Bible, Evangelism, Peacemaker, Sermons, Theology on January 29, 2016 by Stephen Sizer.